A place where parents can share their memories, their stories, their love and their pain; where their children are remembered and cherished; and where we acknowledge that every life counts. 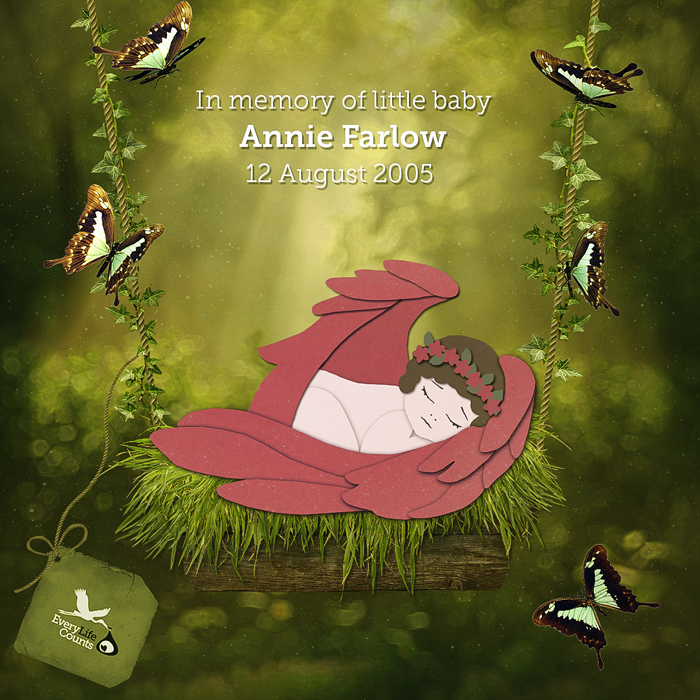 Barbara Farlow tell us of little baby daughter, Annie, who was diagnosed with Trisomy 13, a disability that meant that Annie might die before, or soon after birth. 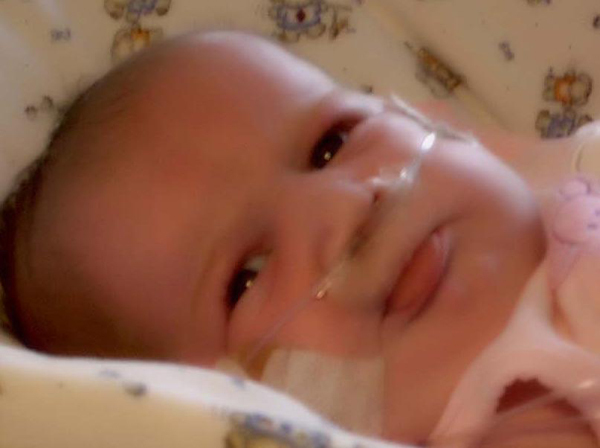 However, little Annie lived for 80 days and was such a blessing to her family during her short life. Barbara is sharing her story because of the circumstances surrounding Annie's death about which the Coroner's pediatric committee declared to be "inappropriate" and for which the hospital apologized. Treatment that might have been beneficial was withheld and a "Do Not Resuscitate" order was placed within hours of admission without parental knowledge. Barbara's goal has been to increase awareness of the fact that that some children with trisomy 13 (and 18) do survive and some benefit from medical interventions. Together with physician collaborators, she undertook and published major research on the experience of parents who have children with trisomy 13 and trisomy 18. Findings based on surveys of over 300 parents revealed that overwhelmingly, parents describe their child's life as a positive, enriching one. More children survived when medical care was provided and surviving children were described as happy and a positive influence on their siblings. Links to these articles are provided below. Barbara is a co-founder of The International Trisomy 13/18 Alliance. The primary goal of this organization is to provide evidence-based information to parents to enable them to make informed decisions for their children. Barbara has published Annie's story in 3 medical journals and presented at medical conferences all over North America, the WHO and the Sixty-sixth World Health Assembly. At 21 weeks’ gestation, we were informed that our daughter, Annie, had a genetic condition associated with profound disabilities. Thus began the most difficult but, ultimately, most enriching journey of our lives. We realized it was highly likely that Annie would require life-saving interventions in her infancy. From the outset, we wrestled with an agonizing, moral question: Would these interventions and the preservation of her life be in the best interests of our daughter and our family? To make an informed decision, we began to research. We discovered children who were certainly very impaired, and we were afraid. However, as our knowledge increased, and we met more families with children deemed to be ‘severely disabled’, our fears were alleviated. Shortly after Annie’s diagnosis, I attended the funeral of a young man with severe cerebral palsy, who had never walked or talked. The midweek service was filled beyond capacity. After the service, I spoke to his teacher. Tears fell freely from her face as she told me that her student had ‘changed her life’. How could that be? Children with Annie’s condition seldom live into their teens, yet we have observed that when their child dies, the families are absolutely devastated and by no means relieved to be free of their ‘burdens’. These children were loved in the very same way as any child. We did some very deep soul-searching about the purpose of life. We realized that the quality of our daughter’s life was not ours to judge. We understood and accepted the many challenges and sacrifices Annie’s life would entail. It would not be easy. Nothing worthy ever is. Annie was born full-term and was mildly afflicted. 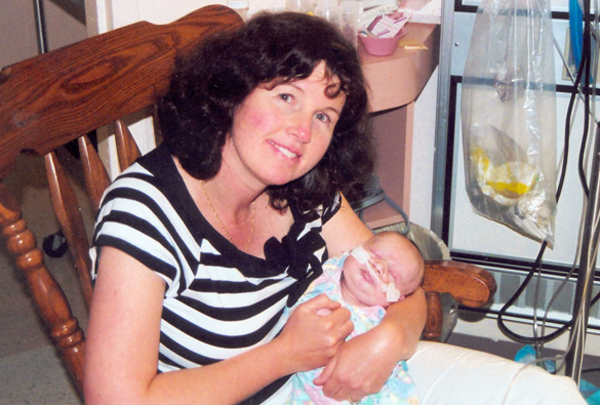 Her only serious issues were hypoglycemia and an undiagnosed airway problem. Without a doubt, there were challenges. We spent the first six weeks in the hospital with Annie, and a family member was with her at all times – night and day. Our children instinctively rose to the occasion to contribute. Our 12-year-old son took over lawn maintenance and prided himself in having the best grass on the street. Our teenage daughter left her summer job to help out. Even the youngest wanted to contribute, and drew endless pictures with ‘I love you Annie’ on them. We were so very to witness their automatic responses of protection, love and self-sacrifice for their sister. We took nothing for granted, and we lived each day to the fullest. We laughed when Annie came home soaked from a sudden, unexpected downpour when she was out for a walk. One clear, hot night, when everyone was asleep, we took Annie outside and looked at the stars together. Indeed, we viewed life differently once Annie was born. Her first smile was like magic. "In a game of peek-a-boo, Annie smiled for the first and only time in her life. As veteran parents, we certainly knew a genuine smile." 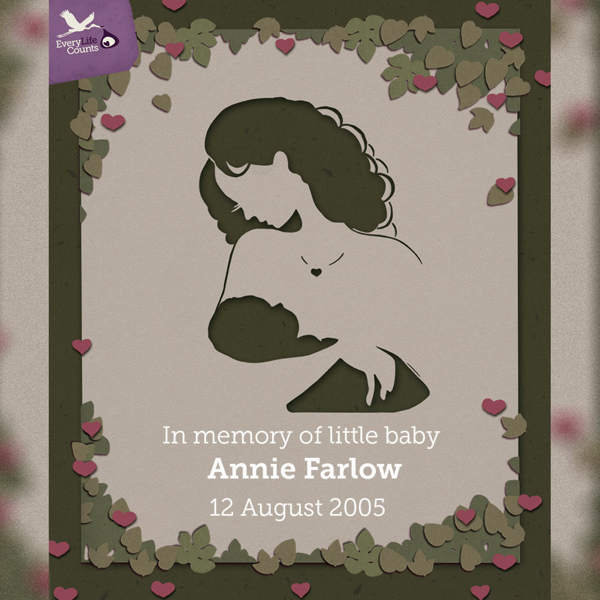 Annie’s life came to a sudden end within 24h of arriving at the hospital at 80 days of age. She had been having episodic respiratory distress in the preceding days, and her paediatrician told us that it was best to take a conservative approach because the suspected tracheal condition might improve on its own. It was with incredible and inconsolable sadness that we had come to discover that Annie’s pulmonary health had deteriorated weeks earlier because her carbon dioxide levels were rising to critical levels. Because we were unaware of the plan of treatment, and had no understanding that high levels of carbon dioxide could lead to rapid death, Annie’s death was most difficult for us. She did not have the comfort we would have wished for her in her final days and hours. Annie’s siblings rushed to the hospital only to discover that their sister had died just minutes earlier. The coroner and his committee noted issues about our daughter’s final admission. An effective ‘do not resuscitate’ order had been placed on her chart, yet this had not been discussed with us. 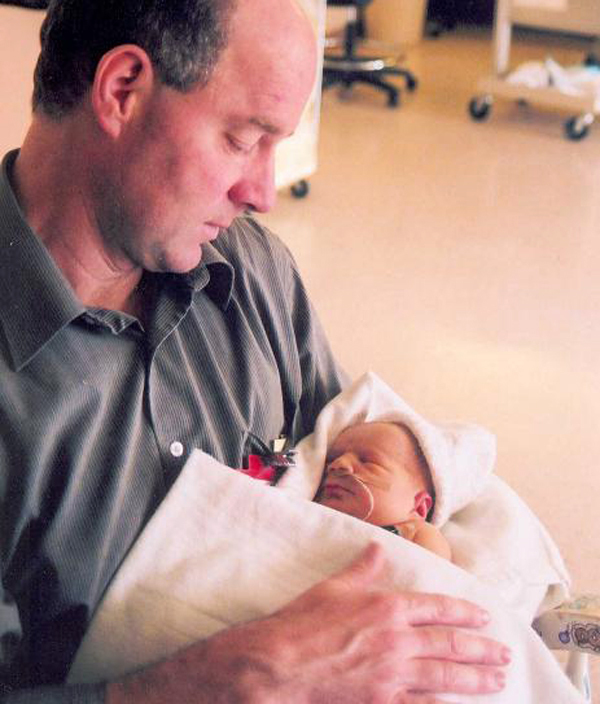 There are no words to describe the pain we felt when we discovered that our rights as Annie’s parents, to provide input into critical decision-making, had been overlooked. The infant with predicted disabilities lives the most fragile of human lives. 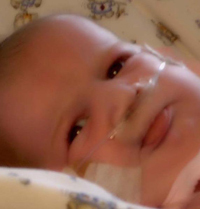 The fate of our child rested in the hands of the physicians and health care providers. Unilateral treatment decisions and the absence of our input into or awareness of these decisions caused a double tragedy. We were denied both a chance to prolong Annie’s life and a plan for her to die a dignified peaceful death with her loving family by her side. Some would say that helping a child like Annie live longer by offering more aggressive medical interventions would be unfair and burdensome to the child and family, and an irresponsible use of limited societal resources. We believe that parental involvement and consent in treatment decisions are acutely important issues. When they are overlooked systemically and without cause, there is a necessity to reflect on the implications. We have learned that accepting and making sacrifices for Annie was deeply personal and purposeful. It was a privilege. It was about reaching beyond the definition of ‘perfect’ provided by consumer culture endeavours and health care policies. In short, it was an act of love. TRISOMY 13 or PATAU'S SYNDROME arises because of the presence of an extra chromosome. There is a significant risk of miscarriage but research has also found that children with Trisomy 13 or live on average for 7 days after birth, while almost 31% live for more than a month, and almost one in 10 live for more than a year. Many studies have reported a significant decrease in median survival over the decades and speculate that this might be due to the withholding of medical care, especially when there is a prenatal diagnosis. "There were 2 wishes I had for her, one that she would feel the air in her face and one that she would be held and loved by everyone." "You put your pain on hold. I wanted his life to be about him, I wanted every day to be about him"
"I never thought I'd ever cope again or get through it, but as the old saying goes time is a great healer, and I've learned to live with it." "I will always have that relationship with Andrew; the shape of him carved in my heart and that will be there forever." "I was told my baby might live for 3 days or so, I was devastated, I was left with a broken heart"
"I tell the girls that she's up there in heaven with their granddads watching over us all and making sure we're ok and giving us invisible hugs to make sure we stay happy and laugh a lot"
"Although I will never be free of the heartache of losing Lillie, I'm blessed to have seen her beautiful face and touched her tiny hand. That means so much to me." © 2019 Every Life Counts. All rights reserved.